Here at Android Review Center, we believe that Android smartphones are best used for three broad purposes. Mobile office, mobile entertainment and media center and mobile communications center. Of course, things to be desired are money savings and innovation (mainly because we love seeing new and exciting things come for Android). One of the main problems existing today in the cellular world stems from the advent of so many cellular and telephony providers across the different countries. Of course, diversity is good and competition is even better but think of the small business man who has to make a number of international calls to different countries. 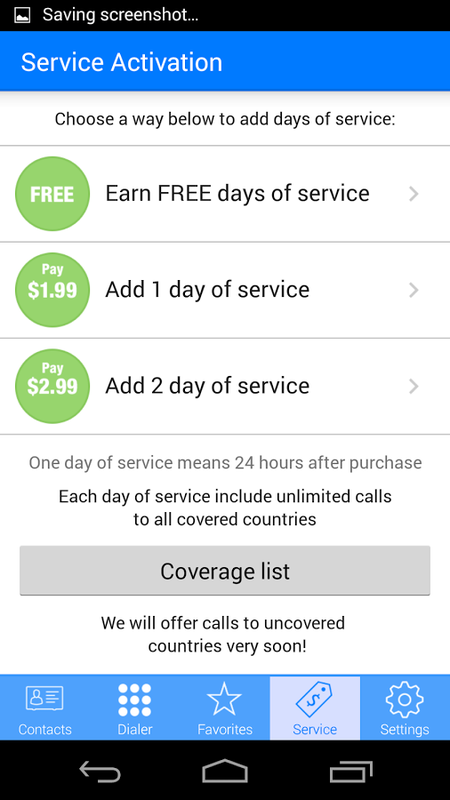 Each country, each provider and each cellular carrier will charge differently. There is no simple way to limit or control the chargers. Enter Call+, a new innovative app that goes a long way towards solving the problems caused by making international calls. 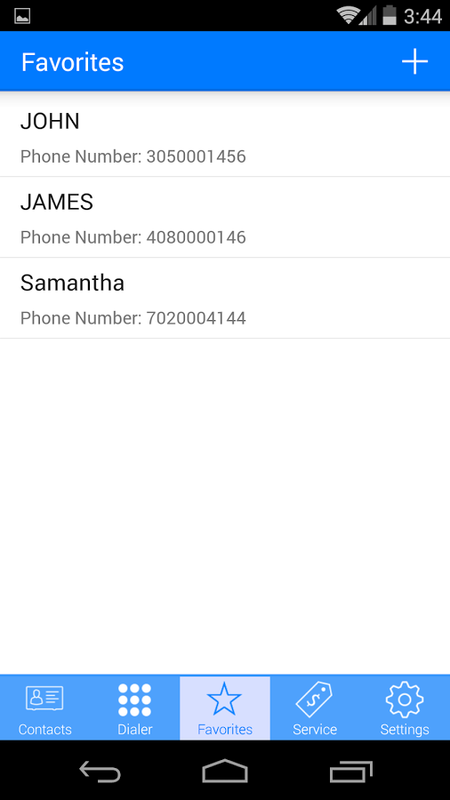 Call+ is a calling app that allows the user to make regular phone calls to international numbers in the supported countries. It must be pointed out that the receiving phones are NOT obligated to run Call+. The user with the smartphone can use Call+ to call phones on land lines and smartphones, all depending on the target countries. Call+ has several innovative features that make using it easy and quick. First of all, when paying for calls in Call+, the user does not pay per call or even per country. The pay is global, paying for the desired number of days and then the user can call every number supported in a supported country, regardless of call times and legnths. Another great thing that comes with Call+ is the fact that it is a brand new app and the development studio is offering some great incentives to build an initial user base, such as 1 free day for the first ten thousand users registering and more free days to users buying calling packages. In other words, now is the time to take advantage of the Call+ promotion packages. 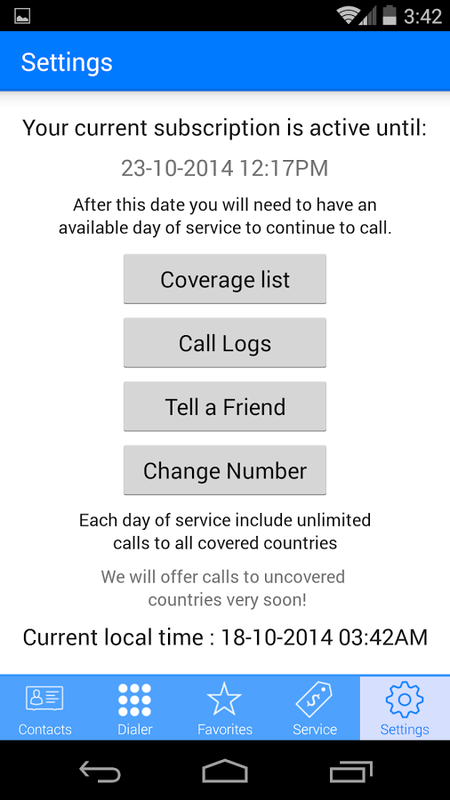 Just to make things clear, there are other apps such as Skype that offer calls to landlines and smartphones, but the thing that Call+ brings is the ability to make unlimited calls to more than eighty supported countries with just a subscription payment. So, Call+ innovates the international call scene by bringing with it unlimited calls to a huge number of countries, to landlines and cellular phones that do not need to have the app installed, all payable by a subscription payment and not per call charges.